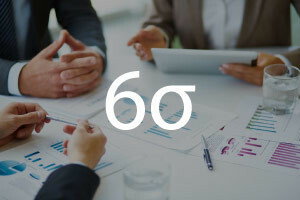 Six Sigma is a set of techniques and tools which seek to improve the quality of process outputs by identifying and removing defects and minimizing variability in manufacturing and business processes. This free Six Sigma training course will describe in clear detail how to plan and implement a Six Sigma project with a simple sequence of steps. This will give you expertise that is in high demand across the business world today. This Six Sigma course will first introduce you to important Six Sigma concepts. To begin, you will study the basics of Statistical Process Control and its use in Six Sigma methodologies. You will cover the Control Charts for Attributes and Control Charts for Variables, and will also learn how to use Design of Experiments to understand and optimize process settings. Next, you will study the development of Taguchi Methods and their use in Quality Engineering applications. You will learn why Taguchi Methods reduce variability and maximize robustness. Next, you will study the benchmarking process, the key elements of the Benchmarking Code of Conduct, and management's benchmarking challenge. Benchmarking is the process of comparing one's business processes and performance metrics to industry bests or best practices from other industries. You will then learn the role of Six Sigma in supply chain management by studying examples of supply chains that use Six Sigma processes. Finally, you will tackle the challenges of integrating Six Sigma processes into supply chain systems. This Six Sigma training course will be of great interest to all professionals who work in the areas of Six Sigma, Quality Management, and manufacturing who would like to learn more about the techniques and tools used in Six Sigma projects. It will also be of great interest to all learners who would like a career in the area of Six Sigma and quality control. So, check out the course, start learning these powerful business tools, and give your résumé a great boost today. Describe the basics of Statistical Process Control. Describe to use Design of Experiments to understand and optimize process settings. Explain and apply the statistical techniques used in Six Sigma. Outline the steps in planning Design of Experiments. Describe the development of Taguchi Methods by Genichi Taguchi. Describe typical Quality Engineering applications.